A treasure trove abundant with flavor and finesse. Known and recognized as a Grand Cru site for Pinot Noir and Chardonnay, the Pisoni vineyard is the land hosting 80 Syrah vines that provide the fruit for The Reward. This is Cattleya’s own selection massale. The vines are tended to with care and respect by vineyard manager Mark Pisoni. 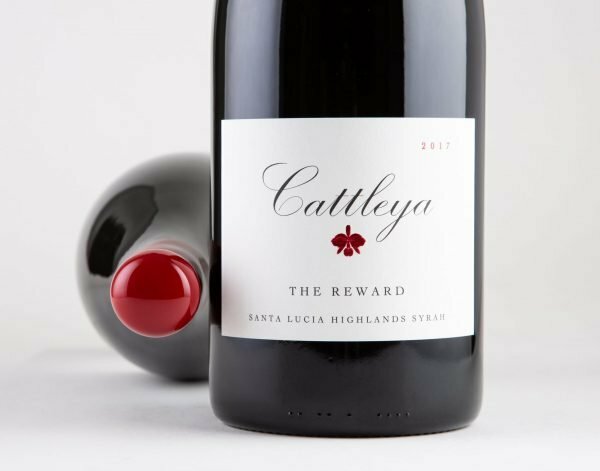 Influenced by cool mornings, long hours of fog and rugged soil, the vines slowly ripen the fruit on granite soils. The fruit was night harvested on October 18th. After ten days of cold soaking, the 100% destemmed fruit began a native fermentation in a 60-gallon oak barrel. Punch downs were done by hand, once a day to extract tannins, color and aromas. After 35 days of fermentation, the wine was drained into a small barrel. The wine was hand bottled exclusively in 1.5L format bottles due to the limited production. This new wine is made from a specific selection massale scion from Côte-Rôtie and is full of intensity and complexity. Red berries, floral notes of violets and a hint of licorice revive memories of an elegant and refined red wine. 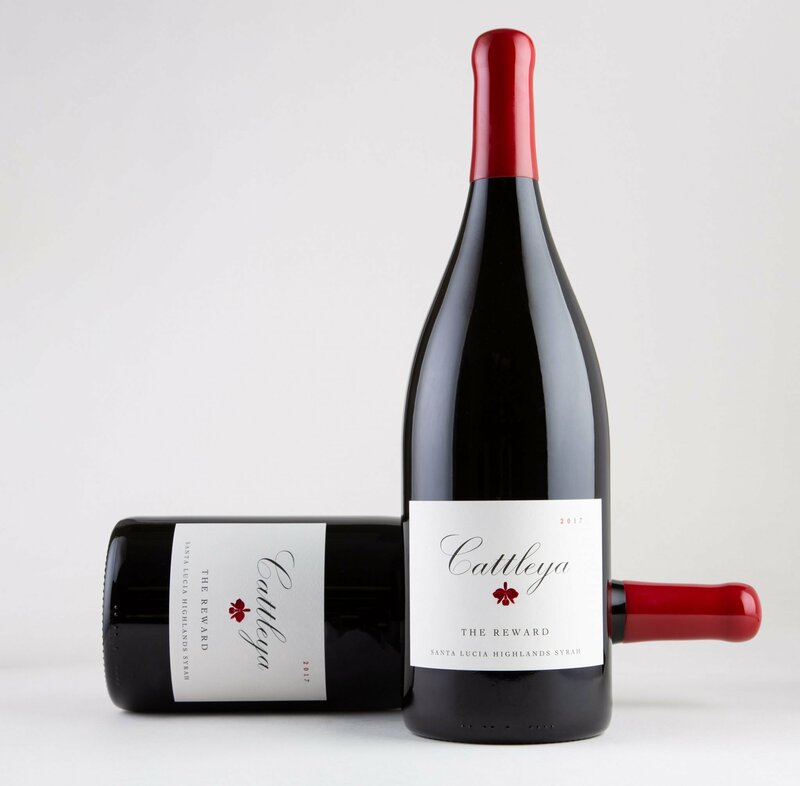 The mouthfeel is vibrant with velvelty tannins and a well-balanced acidity. Enjoy this very rare wine. After 7 years of protecting the scions of a suitcase clone, The Reward was born. 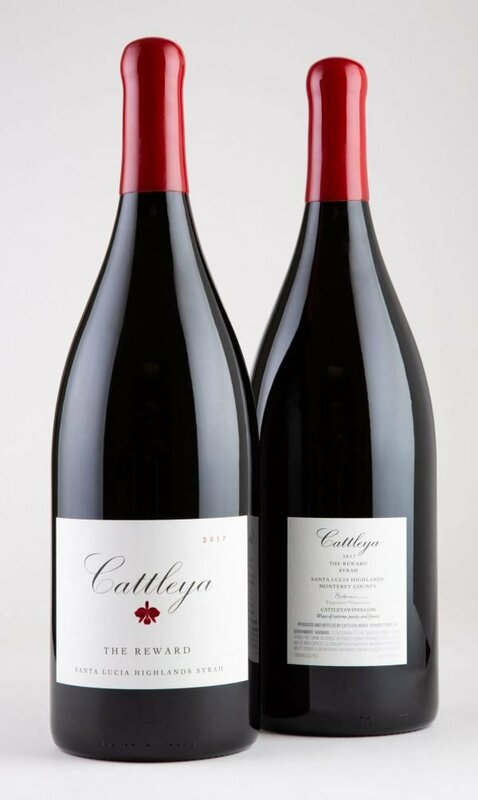 Thankful to the masters of vineyards in Côte-Rôtie and to my uncompromised passion for Syrah, Cattleya Wines could plant and tend to its own selection. Nurturing a small amount of 80 vines at the Pisoni Vineyards, The Reward showcases the purity of Syrah in California.